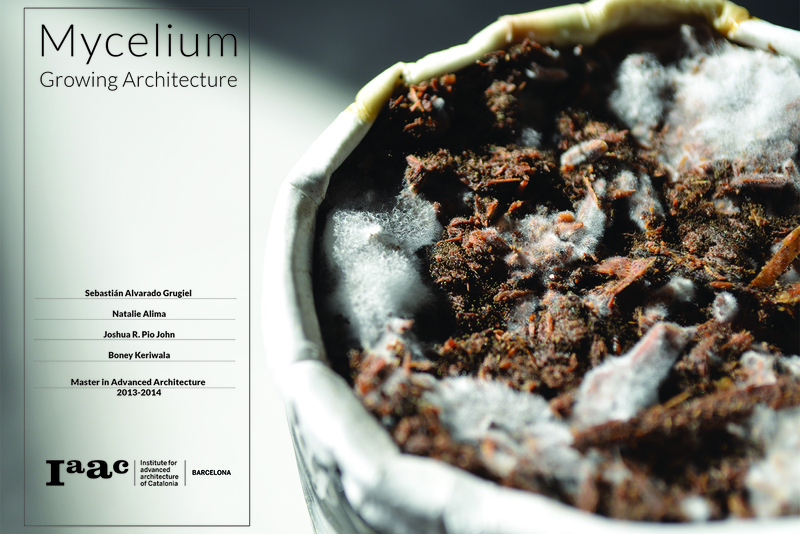 Mycelium is the roots network of mushrooms. 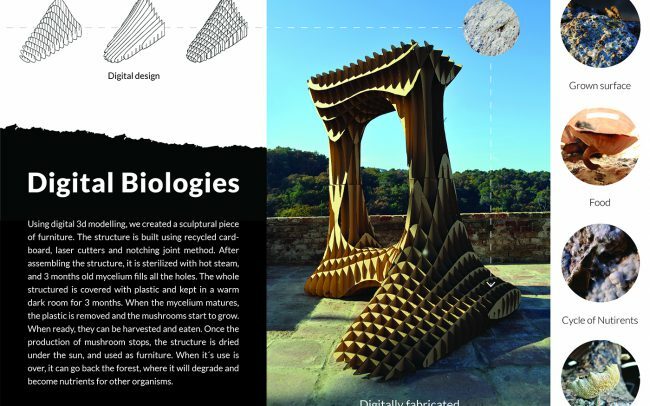 This network decomposes organic matter, and when the nutrients are over, the mushrooms grow and spread spores to the air to reach new places to grow. Mycelium is a very important component of healthy and biologically active soils. It gives the soil structure, decomposing complex organic matter so that plants can use them to grow. 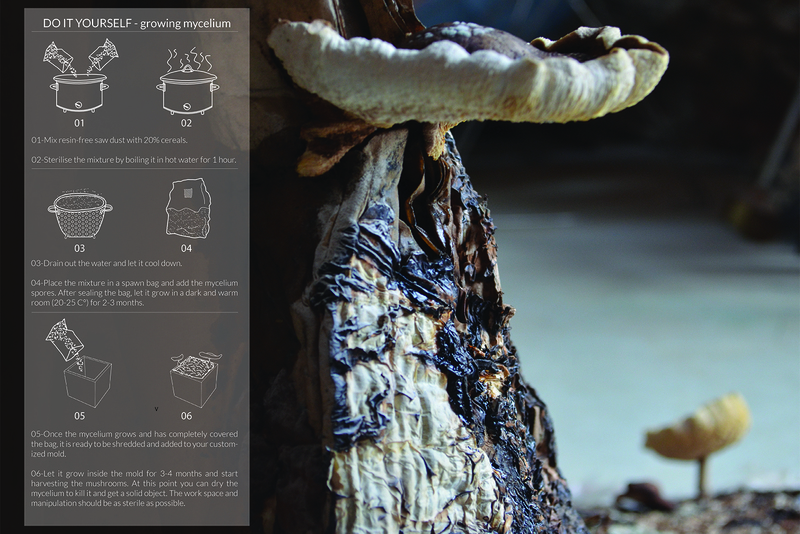 Mushrooms and mycelium have been proven to have excellent properties to decompose even petroleum waste. 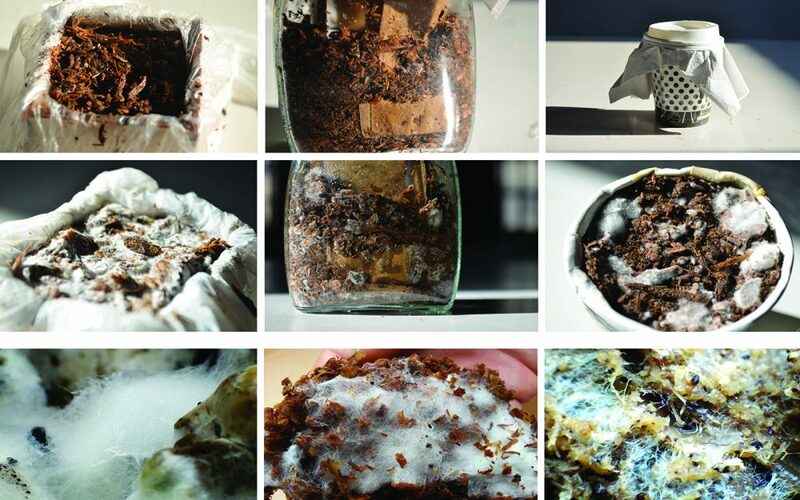 The bonds that some kind of mycelium networks form are of special interest in the development of none toxic bio materials, that could substitute current toxic materials such as plastic. The mushrooms used for our project were Shiitake and Maitake. Both produce eatable mushrooms very appreciated in Japanese medicine and kitchen for their medicinal properties and taste. 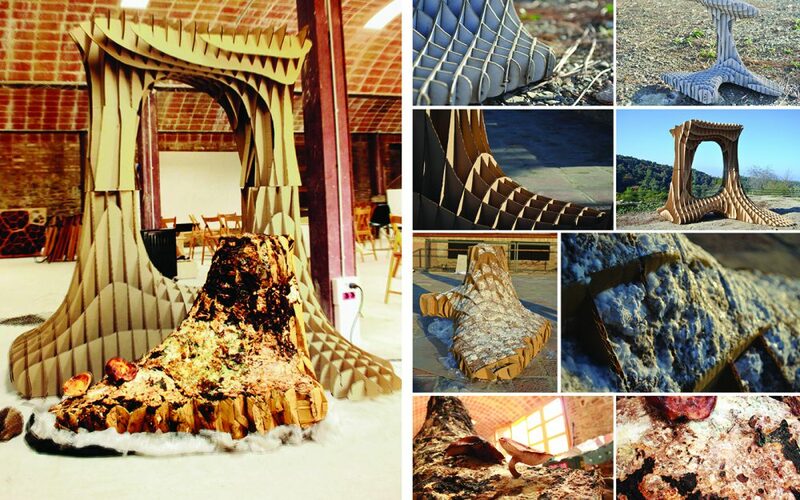 We studied the ability of mycelium to adapt to cardboard and plywood structures, in order to make it grow in specific predesigned forms, in this case a sculptural piece of furniture. 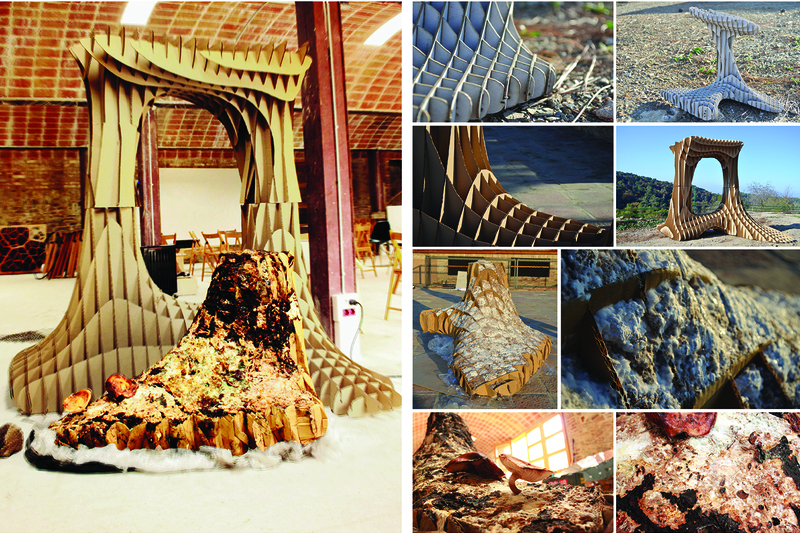 While mycelium didn’t decomposed the cardboard and wood, it starched to it firmly. 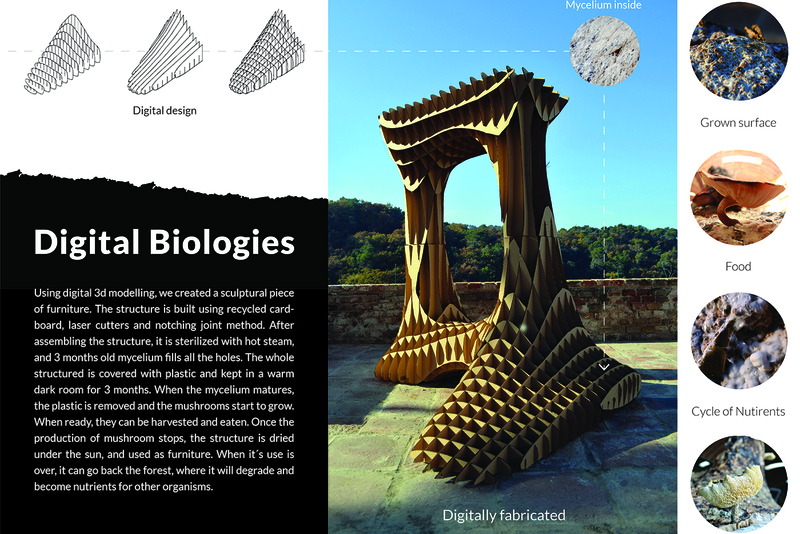 We made structures with a notching system, filling the in between holes with mycelium and nutrients for it. 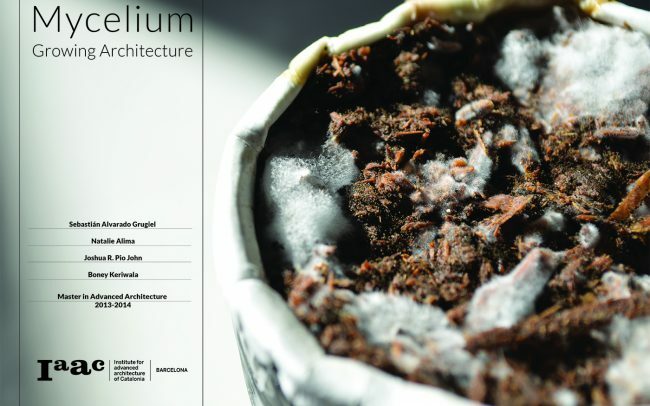 The mycelium grew and spread all over the structures, attaching to it and consuming all the nutrients available. When the mycelium matured, it produced eatable mushrooms for 2 months. After that, it dried and a piece of furniture was ready for use. It could be disposed directly into the forest, where it would become new nutrients for the soil and plants.